Working in the International Student Services Office at a college of art & design can actually provide sewing inspiration. We celebrate International Education Week with a number of activities, including an exhibit of garments and artifacts from around the world. 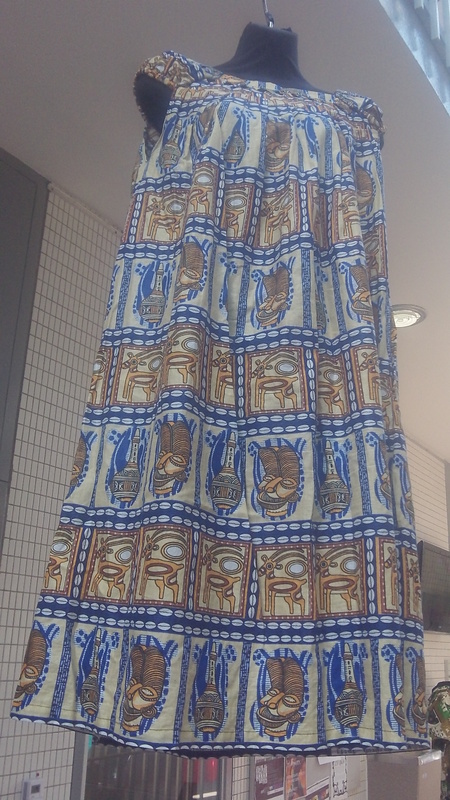 It can be fascinating to see some of these garments up close. 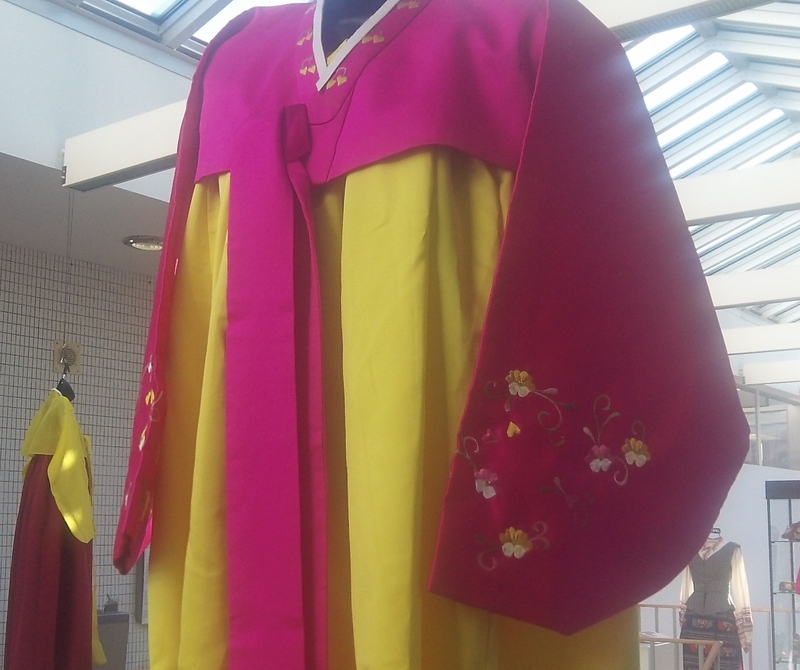 Many of the garments are from Korea, courtesy of our department director’s personal collection. 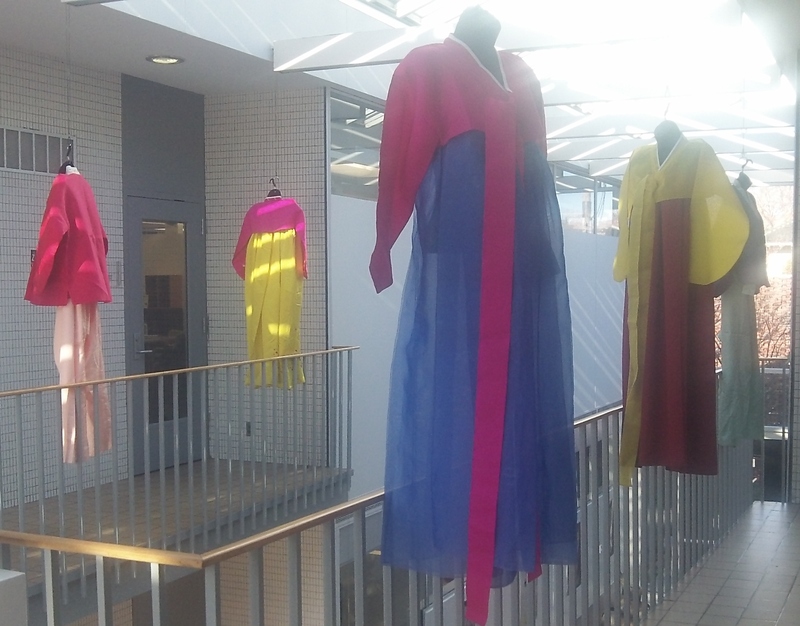 The variety of “hanbok” hanging in our building’s atrium provides splashes of vivid color. Some have beautiful embroidery detail. The buttons on the men’s version could be reinterpreted and provide an interesting closure on a jacket or coat. I think you could do this with pendant style beads and a fabric loop. 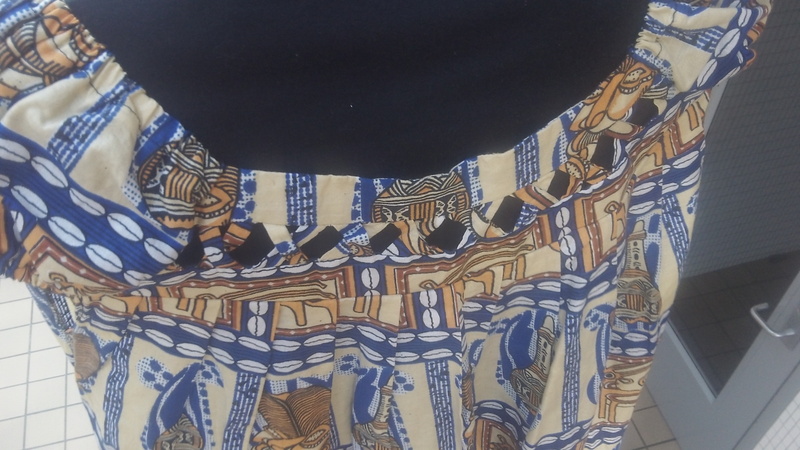 The colors and fabrics are just beautiful on both the women’s and men’s garments. This matching his and hers hanbok is actually a wedding set. They look a little haunted hanging in our atrium, ready to march down the aisle. 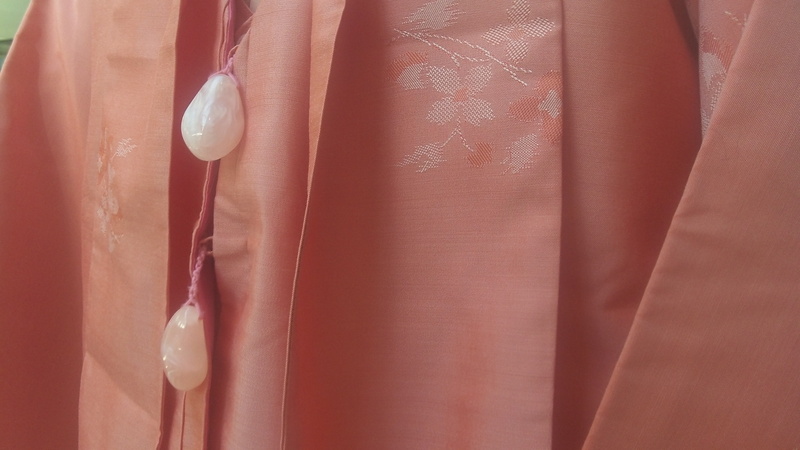 A recent CNN article discusses the hanbok as a fashion influence, citing designs from Dior and Carolina Herrera and explain how color is the major design element. An 80 year old Lithuanian dance costume shows what’s old is new again with 2 recent trends, the peplum and pattern mixing. 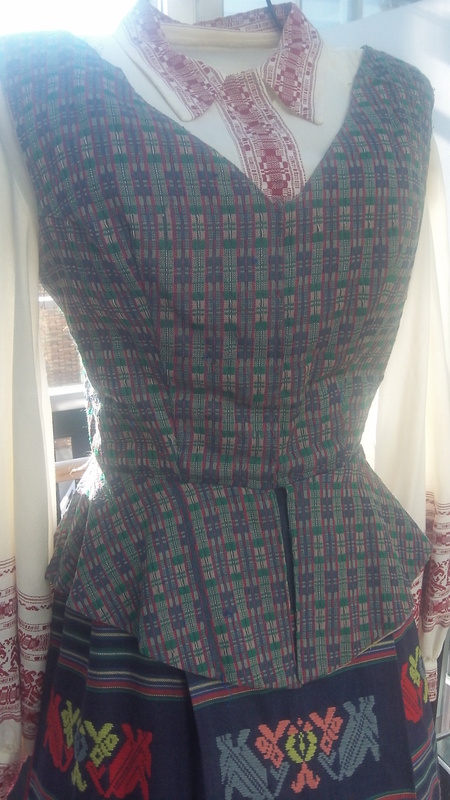 The vest is adorable and beautifully made, if your waist is small enough, you could wear it now and look great. We had to put a padded bra on the dress form and stuff it to fill out the bust. This lady had a pretty amazing figure. 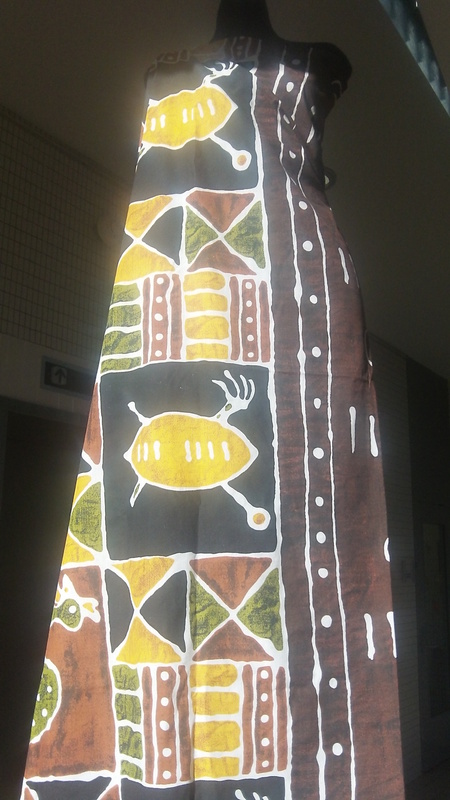 A vibrant piece of fabric from South Africa was draped on the body form to show off the border print, but is not an actually garment. 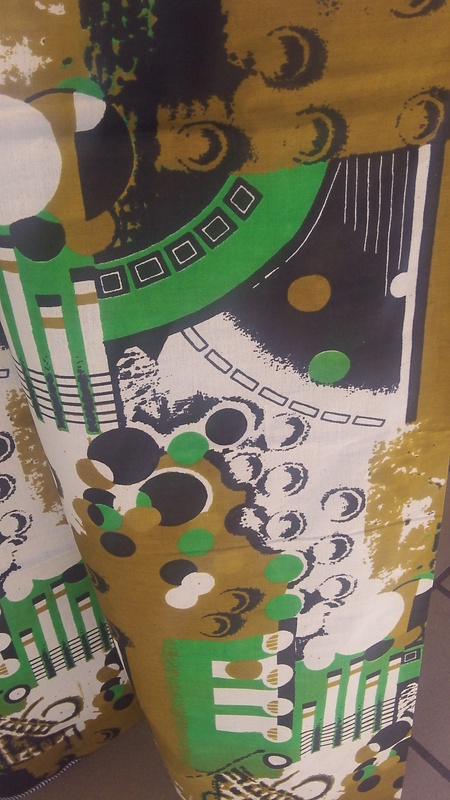 What to do with 5 yards of screen printed fabric from Cameroon? Make a poufy skirted, one shoulder dress, no cutting or stitching required. 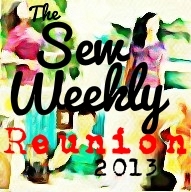 This is another one just draped on a form and pinned in place to show off as much of the fabric as possible. 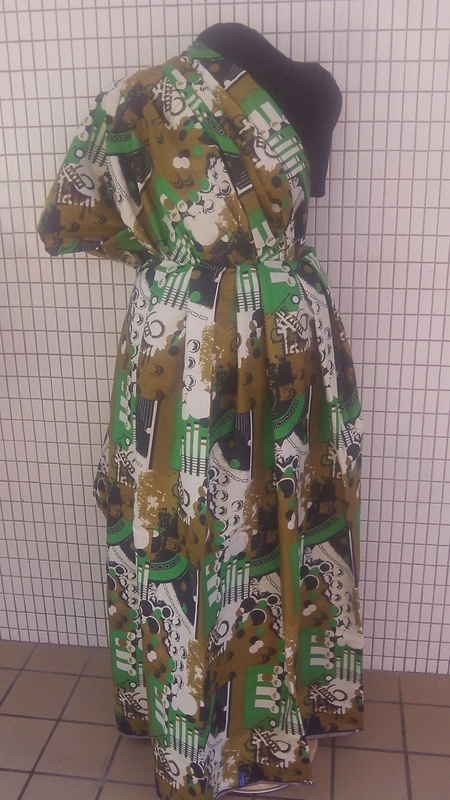 Also from Cameroon, this charmingly simple dress with a lattice detail across the neckline. 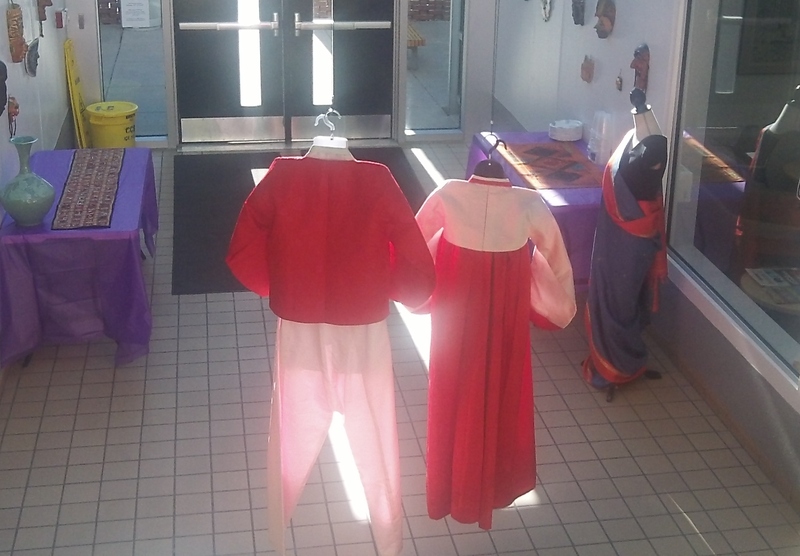 In a few days these lovely garments will be taken down and our atrium returns to beige and white. 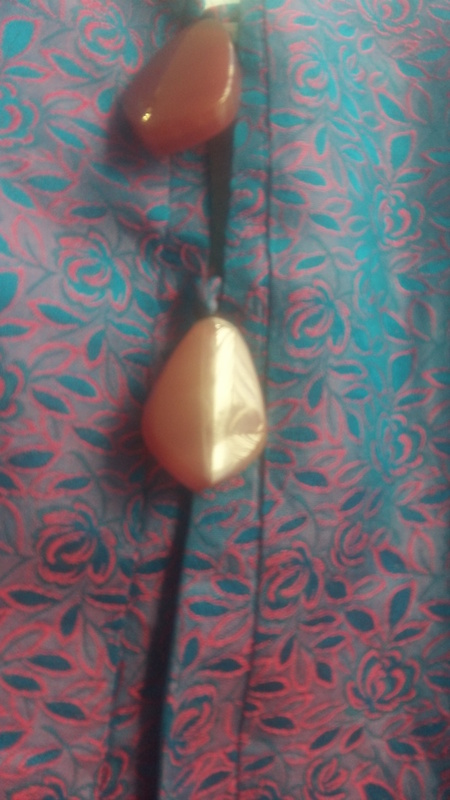 I’ll miss the cheery color and charming designs, but I may just try that pendant as button thing. What a beautiful collection of garments! Thanks, credit goes to our staff, faculty and students for loaning the items.